Restaurant The restaurant serves Tuscan specialties based on ancient recipes. Every day a menu is presented with different proposals. The first settlements of local life benefited from the thermal water that flowed from the ground, so that the local population here founded the first villages, until Etruscans and Romans built real spas, using the local marbles. In the Middle Ages the thermal waters were an economic resource for this place, so that in 1112, the Countess Matilde and then the Medici family, especially with the grand dukes Cosimo I and Ferdinando I, husband of Empress Maria Theresa of Austria, valorised the baths and its healing waters, also through the fountains and the decorative gardens of the Villas. In 1743 the Grand Duke of Tuscany Francesco Stefano di Lorena chose the palace as his summer residence, where he hosted a lot of significant people, including King George IV of England, Gustav of Sweden, Louis Bonaparte, the Cardinal of York, Vittorio Alfieri, Percy B and Mary Shelley, Lord Byron, Ibrahim Pasha, Carlo Goldoni.The literary cafe was created as a meeting point for the writers of that time, today is still located in the panoramatic park of the olive trees of the Terme.The ancient complex then had a period of decay, since 2003 the central body, the halls and the rooms with vaulted ceilings with eighteenth century frescoes have been recovered and transformed into a luxury resort with a termal spa. Description The hotel has an incredible Natural Spa Resort and a closed terrace, at your disposal in the winter, too. Philosophy This is an original Spa. They were appreciated for their healing properties and functions. Enjoyed first by the Etruscans and the Romans, and then by the Medici family, the Pisa Hot Springs rose to fame in 1743 when the Grand Duke of Tuscany, Francis Stephen of Lorraine, built his summer spa residence there. 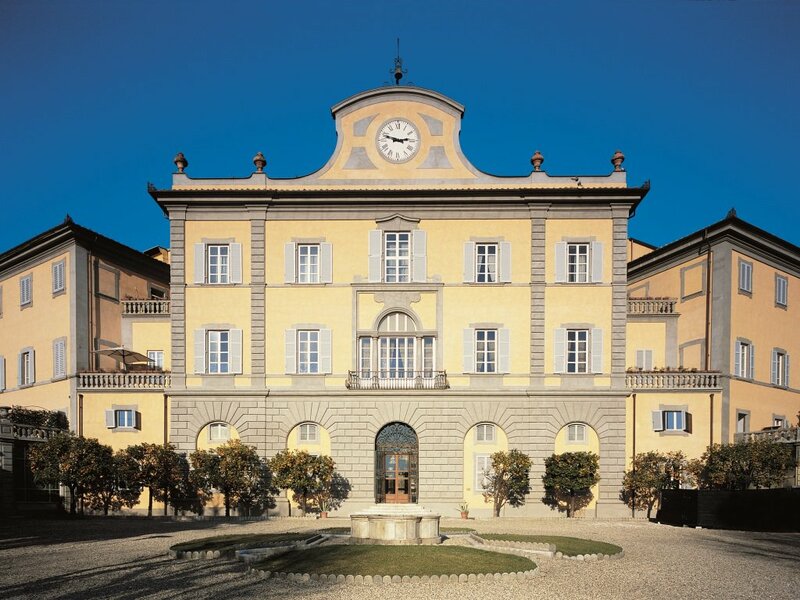 Description This ancient Lorraine Palace features 61 rooms, including 11 Junior Suites and 9 Standard Suites with the most modern comforts complementing the neo-classical eighteenth century architecture. Description The elegant 5-star resort is into a prestigious international luxury hotels brand. The restorations carried out on the Natural Spa a few years ago also helped the resort win the award of “Leading Spa”, following an assessment that includes 200 different quality criteria.